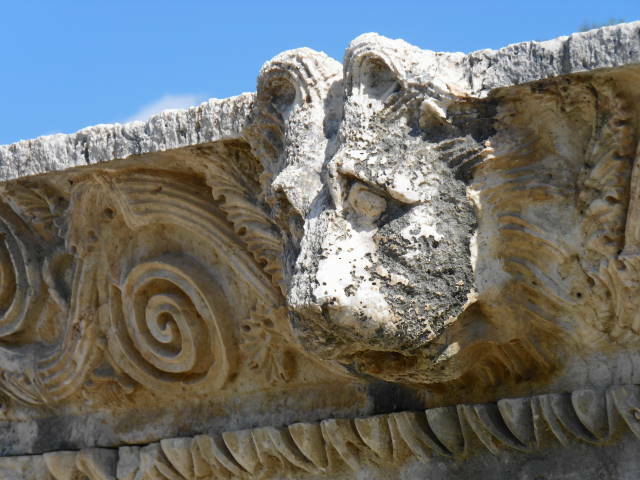 Considered a sanctuary city in ancient Lycia, the ruins of Letoon remain today as a testament to the strength of the Lycian civilization and are well worth a visit when on a crewed yacht charter along the southern coast of Turkey. 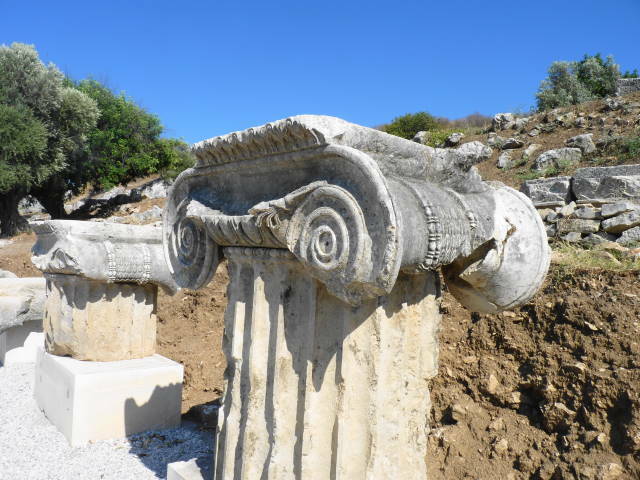 Located near Xanthos and linked together with Xanthos as a UNESCO World Heritage Site, Letoon has been under excavation for the last 60 years. 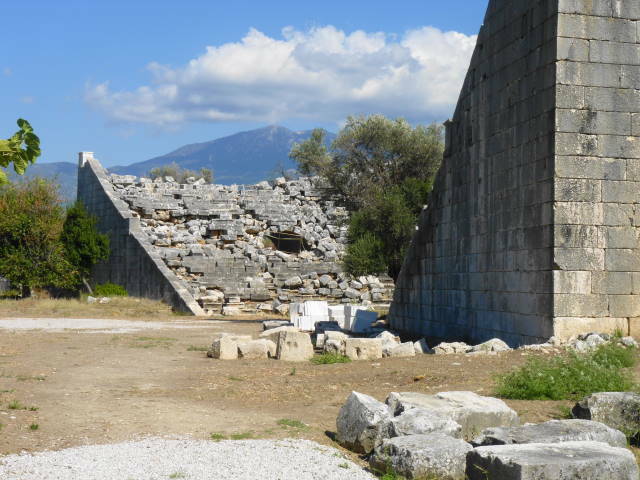 A visit today provides an outstanding glimpse into the Lycian culture and the ruins of Letoon can be visited now when on a crewed yacht charter along the southern coast of Turkey. Letoon was the sacred cult center of ancient Lycia, its most important sanctuary, and was dedicated to the three national deities of Lycia; Leto and her twin children Apollo and Artemis. Letoon was not a commercial city, but rather was the spiritual heart of Lycia and a place of national festivals. 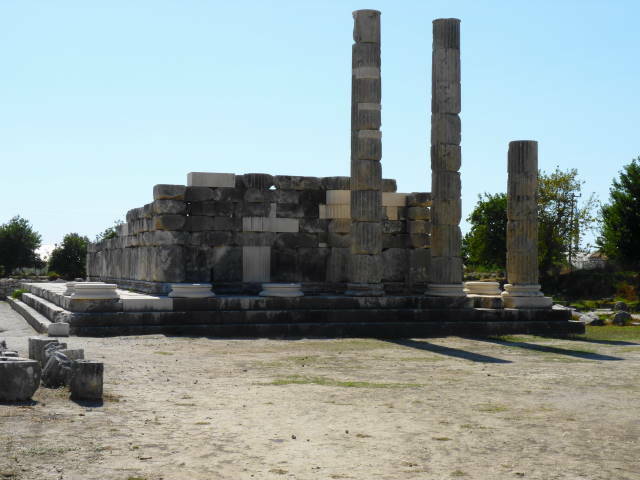 It was the center of pagan cult activity until the fifth century AD, first falling victim to Arab attacks and then covered in sand and silt from the Xanthos River. Shards found on site have been dated back to the 8th century BC. However just as other Lycian cities along this coastline were overrun by various civilizations after the creation of Letoon by the Lycian civilization as a sacred city, so too did Letoon pass from Lycian rule to other rule, during the long history of the existence of this city in the ancient world. When visiting Letoon today, remains of the three temples dedicated to the three major deities, Leto, Apollo and Artemis, are located in the center of the site. 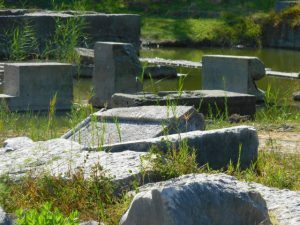 Most of the blocks for the Temple of Leto have been preserved. This was the largest of the temples and is considered one of the best preserved Greek temples in the world. 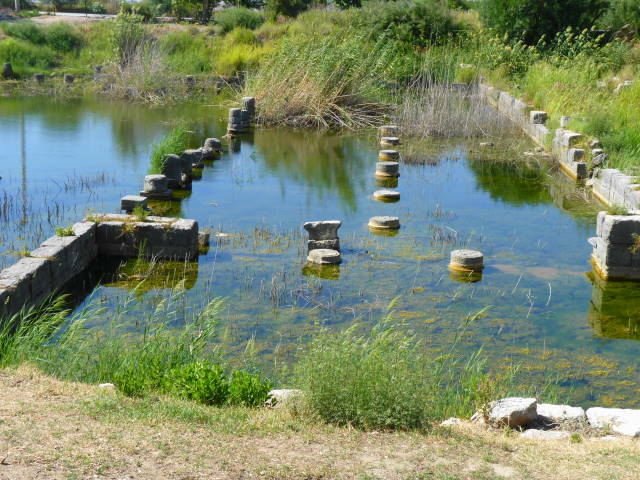 To the southwest of the temples are the ruins of a nymphaeum connected to a sacred spring. Today, the waters around the almost submerged ruins are full of terrapins and frogs, some say in fulfillment of an ancient prophecy. This site was perhaps used in religious immersion ceremonies and was built during the Hellenistic period with the Roman addition of a semi-circular pool. A Hellenistic Amphitheater remains largely intact on the site, carved into the hillside with an entrance gate and tunnel on each side. The amphitheater is built in more than the normal semicircle and there is no sign today of a staging area in front of the seating area. It is believed this amphitheater was used for religious performances and ceremonies only rather than plays for entertainment. Towards the end of the history of Letoon, a Basilica is believed to have been constructed in the 6th century AD but was destroyed around the mid-7th century, possibly by the Arab attacks during that period. The nave and aisles were decorated with floor mosaics depicting geometric designs and animal figures, and while the ruins of the Basilica remain, the mosaics have now been removed off site for safe keeping. It is thought that there was a monastic community associated with the church and, due to the large number of drinking vessels found during excavation, they were dubbed “the Drunken Monks”. A stone carved inscription has been found by the current day archeologists on the site, which has been carved with inscriptions in three languages; Lycian, Greek and Aramaic. 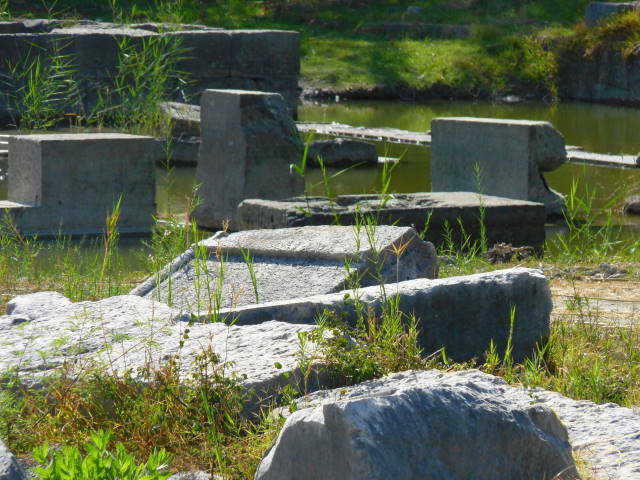 This stone carving is now offering archeologists additional clues to the history of this area. Lovely stone Ionic column capitals from the Hellenistic Period and other carvings show the special attention focused through the centuries by various ancient civilizations on Letoon, particularly considering the small size of the site and number of quality artistic stone carvings and artifacts remaining. Letoon was a location of national festivals in ancient history and was considered a significant sanctuary with priests living in Letoon at the highest level of the Lycian League. Probably, Letoon continued as a sacred city through further centuries of dominance by various civilizations, through which much of the Lycian culture or influences were felt to have been left intact. Visiting Letoon is a natural inclusion on a crewed yacht charter when on a crewed yacht charter from Gocek to Kekova, especially if interested in the extensive ancient history present along the southern coast of Turkey, which was a busy ancient trading route.